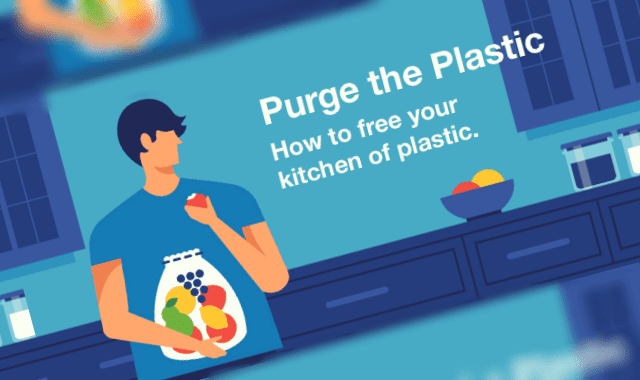 Purge The Plastic: How To Free Your Kitchen Of Plastic #Infographic ~ Visualistan '+g+"
Since its inception, plastic has found its way into our homes and work lives more than most of us recognize. But when it comes to buying, cooking, and storing food, plastic is pervasive. Hundreds of studies have linked plastic to harmful side effects. And while the amount of chemicals leaching from plastics may be small, it has not been proven safe. Thankfully, there are a number of safer alternative materials including ceramics, glass, stainless steel, cotton, wood, and more. Read on to learn how to choose non-plastic swaps for common plastic items such as food storage containers, ice packs, plastic wrap, and produce bags.